CSS development can be made extremely easy and quick using all the cool tools available out there. Many such tools are already present, while new and advanced are being created constantly. These tools make CSS development a breeze and can help you in processes which can be otherwise very time consuming and irksome. So today we have a list of really cool 15 Handy Tools for Easier and Quicker CSS Development. All these tools are really easy to use and both professional and amateur CSS developers will find these tools helpful. So check them out and pick the ones you like the best! As the name suggests, this tool lets you test web font combinations. You can see if a header and body font go along. It also allows editing any of the text on the page, then selecting the font family which you wish to preview. It is easy to use but very useful. The name says it all — Animatable allows creating CSS3 animations for WebKit browsers on any platform or device such as Android, BlackBerry, iOS and WebOS. It is an impressive tool that makes creating multi-scene CSS3 animations possible, even if you don’t have much knowledge of CSS or animation. Both professional and amateur designer and developers will find this tool really helpful; and even animators will like this tool! This one allows writing CSS code simply and quickly, using less code and features like class nesting, server-side browser specifics, default unit, and variables. It is a browser-based graphics editor which helps in creating CSS. It is a really easy to use tool which acts similar to Photoshop or other graphics editors. It is a perfect tool for people who like to use GUIs for making visuals, but in this case you are creating CSS. It is a desktop app which allows creating CSS3 animations for WebKit browsers and touchscreen mobile devices. Animating text and pictures with fluid transitions, designing buttons with gradients, and embedding analytics tracking code is possible with this tool. prefixMyCSS does exactly what its name suggests – it allows prefixing your CSS3 code. All you have to do is to simply type in your CSS code and then pasting it in the website’s first block and clicking the prefix button. Doing this would include all the vendor prefixes to your code. 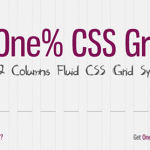 This amazing tool allows adding CSS styles to websites and sharing the results with a short link. This tool can help you get improvements for your site from people. Simply enter the website’s URL in the text field, click the button, and voila! This fabulous tool has the ability of merging various pictures into one and generating CSS positioning for the corresponding slices. It really ameliorates the loading times, and provides you the code. It also minimizes the space used up. On the whole it is a great tool with amazing features. If you are an email designer or marketer, then this tool is for you. It is a simple HTML and CSS Validator which allows viewing which parts of code are not supported in more than 24 email clients. This is a really helpful tool that helps designers make sure that their emails are compatible with all email clients. It is what it’s name says: a gallery of CSS3 patterns. Every single pattern can be viewed in the gallery, and you can get its code by clicking on it! Simple and hassle-free, right? Once you have the pattern, you can also alter the code according to your choice so you can use it properly in your own design. It is a really cool source which all developers would find very useful. This tool allows generating text shadow that uses CSS. Simply input the text you wish to preview in the website’s box and then select the style of your choice, choose the font and then just click on the Get Code button in order to get the code which can be inserted into your stylesheet. This tool not only saves a lot of time but also saves you the hassle. This awesome tool allows finding and pointing out issues with your CSS code. It checks the syntax for any problems to make sure that all is fine. It also applies some rules to the code that finds the issues, but these rules can be altered according to your choice. This tool does what a real prism does, thus the name: it modifies the color spectrum of the CSS file whose URL you entered. It also adds a bookmarklet which allows viewing the colors from any website you want. It is a small, easy to use and handy instant-button framework. All you are required to do is to just pick the button style of your choice, download its CSS code and then put the code where it tells you to place it. 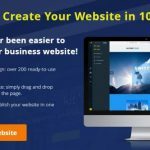 Once you have done all this you can use that in your website! Simple, quick and efficient. Thanks for the list. CSS development can be easy for all the browsers except Internet explorer. I have wasted so much time to fix CSS for IE.